A signature city icon of glass and steel. 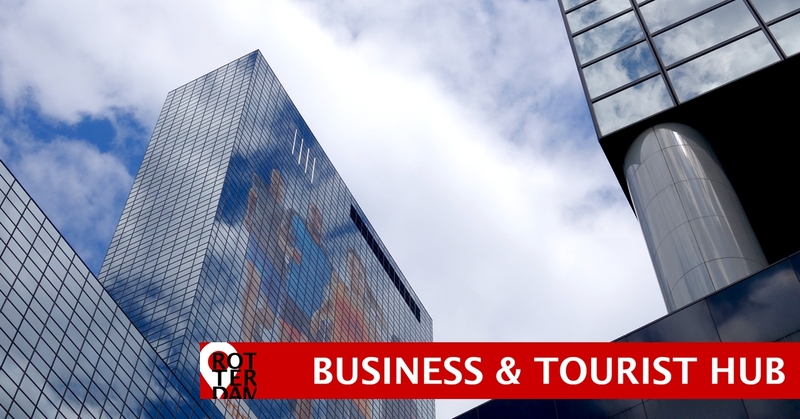 Delftse Poort building is located right in the heart of Rotterdam. As part of the annual Architecture Day, important buildings in Rotterdam were opened to the public. 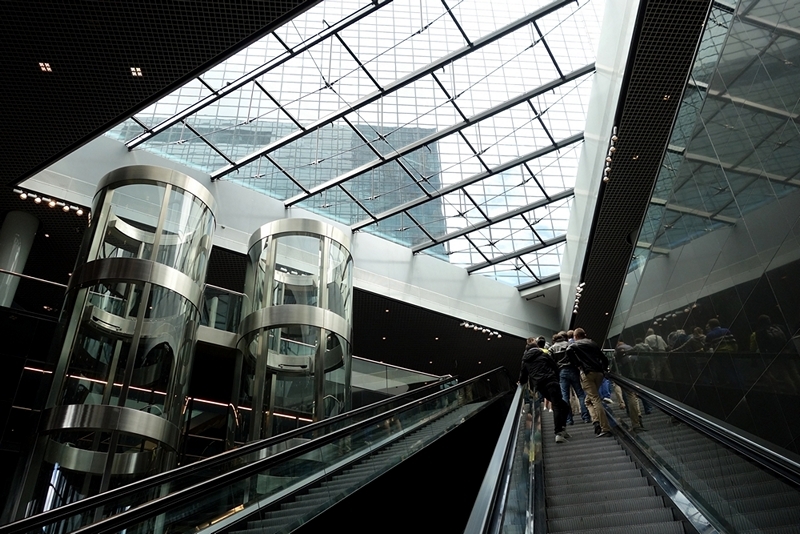 We joined an UrbanGuides tour through the Delftse Poort building. This intense specular building is only a 10 minutes walk away from our apartment. (And visible from our living room!). This twin-tower ‘skyscraper’ is an example of modern, urban architecture. 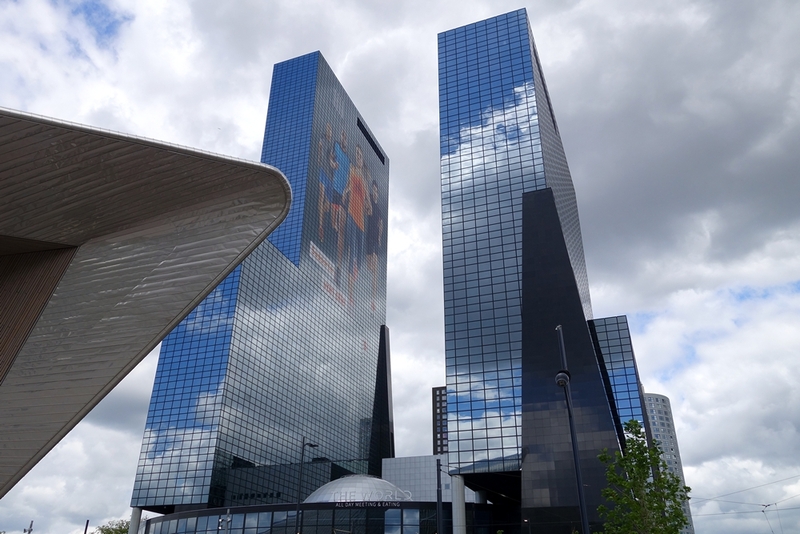 The building is situated in the central district, next to the new Rotterdam Central Station. The towers (150 and 93 meters high) are built over a multifunctional central hub. Architect/guide Michiel Groothoff introduced us to the building. After a stroll through the central part, we took the elevator to the top floor. There we discovered one of the most perfect locations for stunning photos and video footage. A real treat for cityscape photography enthusiasts, that is for sure. Looking south, you got a beautiful view of the river Maas, meandering through our hometown. You see a clustering of tall buildings. 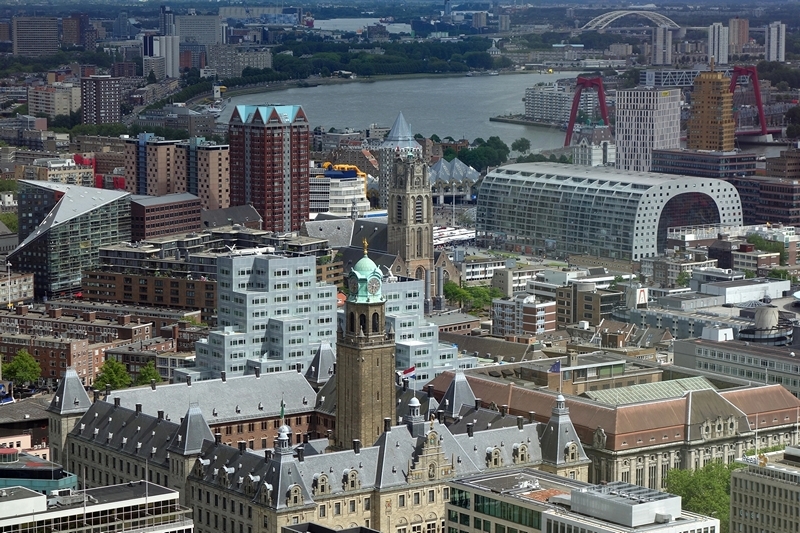 Notice the Markthal, our two main bridges (Erasmusbrug & Willemsbrug) and the harbor area. Northward, you see mostly residential areas, and The Hague, international city of peace and justice, on the horizon. The Delftse Poort building is clearly on the dividing line of low-rise and high-rise. At this place you’ll understand, why our city’s marketing name is ‘Rotterdam World Port World City’. About thirty years ago, Dutch architect Abe Bonnema designed a multi-tenant urban retreat. His design was clearly inspired by the innovative architecture of metropoles like London and New York. Until 2009 this ‘glass and steel construction’ was the highest office building in The Netherlands. Recently, the lower four floors have been completely reshaped. After serving as a homebase for insurance company Nationale Nederlanden, nowadays the Delftse Poort building also offers various facilities to entrepreneurs and visitors. Exactly like architect Bonnema intended, right from the start. You can book a 60-minute Urban Guides tour.